"I've got no quarrel with a man who's not trying to kill me." Now this is a must see short film. Lorne is a short directed by Australian filmmaker Jesse Leaman of Leaman Films based in Melbourne. 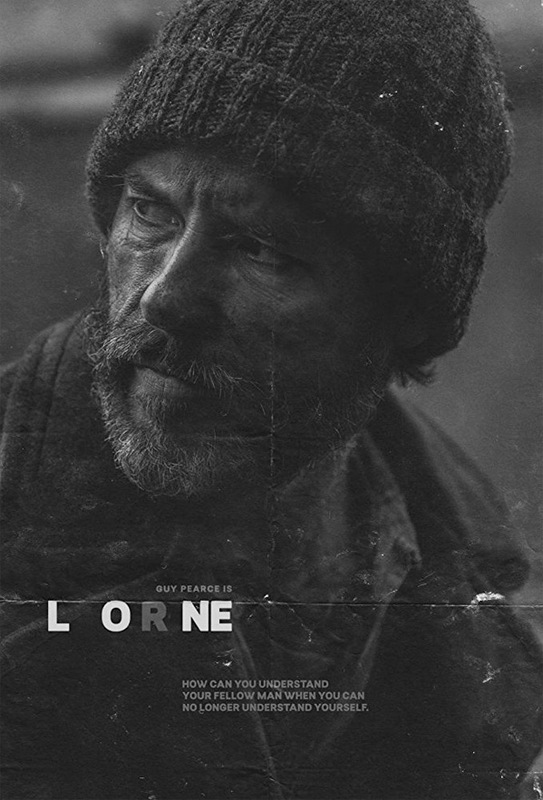 Set in some kind of unexplained post-apocalyptic wasteland, actor Guy Pearce plays Lorne, a traveler struggling with the weight of isolation, who is confronted by a mysterious stranger who helps him realize his existential fears. This is a gritty, gripping short about how hard it is to be alone, in more ways than one, and how it can sometimes help to be quiet and listen. The POV filmmaking in this is is crazy cool, opening up a whole other dimension for storytelling and conversing with the audience without entirely breaking the barrier of the cinematic narrative (e.g. the 4th wall). It also helps that Pearce is so captivating telling this tale. See below. Thanks to Film Shortage for the tip on this film. Official synopsis from Vimeo: "Lorne, a wasteland traveler dealing with the oppressing boundaries of isolation, is confronted by a mysterious stranger, who helps him realize his existential fears. " Lorne is directed by Australian filmmaker Jesse Leaman, of Leaman Films - follow him @JesseLeaman. The screenplay is written by Taylor Adams, based on a story by Jesse Leaman. This short played at a number of film festivals, and won Best Sound from the Australian Screen Sound Guild. Cinematographer Michael Wylam: "There is such an incredible moment where a great actor gives a performance in front of you and you are lucky enough to have front row tickets on the stage of the visual language you’ve helped create." For more info on the film, visit here. For more shorts, click here. Thoughts?